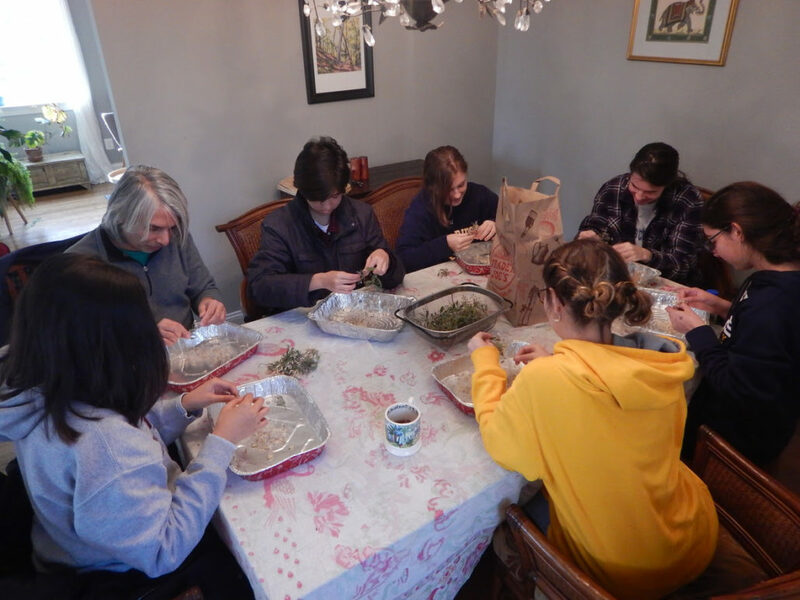 Earth Sangha is extending its seed cleaning sessions to February. If weather co-operates, they’d also like to include some outdoor activity of removing invasive vines in a park. It is possible that they might end up cleaning all the seeds ahead of the schedule mentioned below. Check out the website before showing up! Monday, January 28th, from 10 am to 1 pm, at Long Branch Nature Center in Arlington: 625 South Carlin Spring Road, Arlington. Mondays, February 4th and 11th, from 10 am to 1 pm, at Long Branch Nature Center in Arlington. Address above. Sundays, February 3rd, February 10th, from 10 am to 1 pm, at Arlington Village: 1400 South Edgewood Street, Arlington. This is the community room of Arlington Village and is located on the lowest point of the street. Please look for the brown street sign that says “1400 South Edgewood Street.” The community Room is through basement door at the corner of the building. If you can’t find it, please call Rodney at 703-216-4855 for directions. Saturdays February 16th & 23rd, Sunday February 24th, 10 am to 1 pm at Rutherford Park, 4743 Guinea Road, Fairfax: It’s a relatively small area with many interesting native shrubs (Earth Sangha planted them several years ago) but now invasive vines threaten to overtake it. If they remove Porcelainberry and Japanese Honeysuckle now, they would like to plant more native grass and perennials in the Spring. Tools will be provided.